An apt description for hiking with my kids. The snow-topped mountains that bookend Salt Lake City aren’t just a pretty backdrop for your family photo. They host a plethora of outdoor activities: skiing, hiking, fishing, biking…you name it, somebody’s done it. 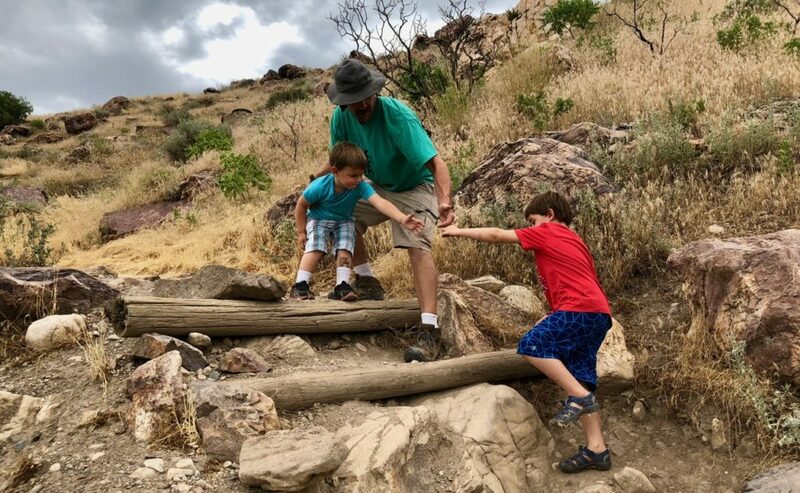 Unfortunately, my little ones are really no good at extreme sports yet, but what they do love are mini-hikes that make them feel like they’ve summited a mountain. 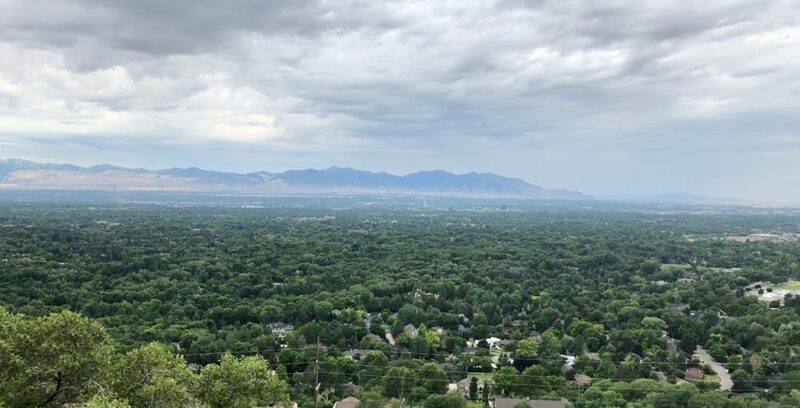 There are several great lookout spots in Salt Lake City that will reward you with a gorgeous view of the city after a pretty short little jaunt up the side of a mountain. The kids get a chance to scramble up rocks, and you can easily make it back home in time for naps. Any of these spots would be especially nice at sunset — if you can keep your kids awake that long. Clambering up this trail was about 15 minutes worth of fun: the perfect amount with these kids. Mt. Olympus is well known for having some of the best views of the Salt Lake Valley, but there’s no way in hell our kids are making it to the top. Fortunately, miles before you get to the top of Mt. Olympus, you will reach Pete’s Rock. This is a popular bouldering and rappelling spot, but also a great mini-mountain for kids. The trailhead parking lot is conveniently located just off freeway (I-215) on the east side of the valley. Jutting out over it is Pete’s Rock. Follow the trail from the end of the parking lot up a relatively steep stair-stepped trail. This isn’t super easy, but my three-year-old managed it with an occasional hand up. (Admittedly, he’s the size of a five-year-old.). The trails winds around behind Pete’s Rock, and from this spot it’s not too hard for kids and adults to carefully climb up the giant quartzite outcropping with its phenomenal views. Getting there: The parking lot for the Mt. Olympus trailhead is located on Wasatch Boulevard, 1.6 miles south of 4500 South, Salt Lake City, Utah. The view is pretty sweet from about 100 feet up the Grandeur Peak trail from the parking lot. Don’t worry, we’re not actually summiting Grandeur Peak either, which is a very steep 4.6-mile loop from this trailhead. Just talk the kids into running up the (still pretty steep) trail from this parking lot on the east side of the valley, and at any point you can get a pretty great view just by turning around. After multiple stops to investigate critters (mainly ants and beetles, but who knows what else you could find?) we found ourselves clambering up a big rock for some fun photos. From the parking lot, just follow the trail upward until you spy a few giant rocks off to the left. From here you can thrust your baby up into the air and out over the valley in your own personal Lion King moment. (“I present to you, Simba! I mean, Elliott/Liam/Oliver!”) Or at least give the kids a snack. Getting there: The parking lot is located at 2900 South Cascade Way, Salt Lake City, Utah. A pretty little monument park at the base of Ensign Peak, where my eight-year-old parked himself. From the top of this little mountain, Brigham Young and a few other Mormon pioneers surveyed the Salt Lake Valley a few days after arriving in 1847. Ensign Peak is located in a neighborhood behind the Capitol, where street parking is easy. 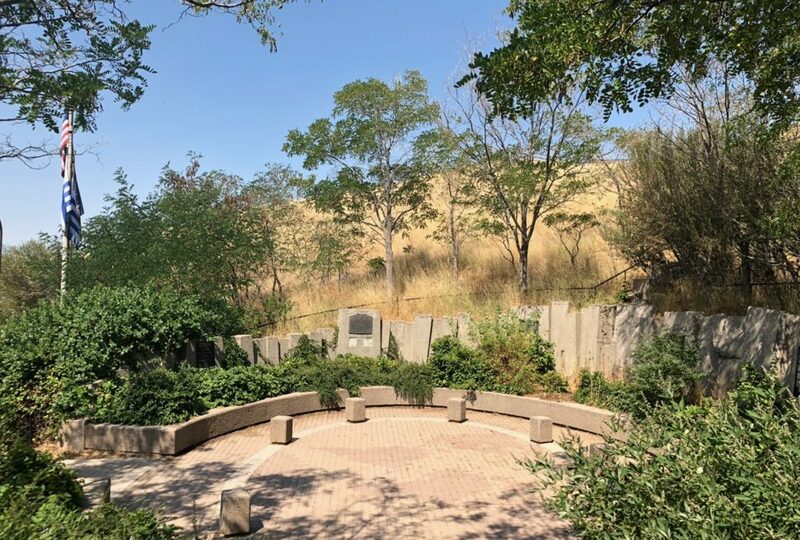 There is a paved, stroller-accessible ramp up to a monument with plaques about the Mormon settlers as well as other significant historical figures in Utah. There’s shade here, which is important, as well as some benches. This is one mountain it would be feasible to actually climb with the kids. 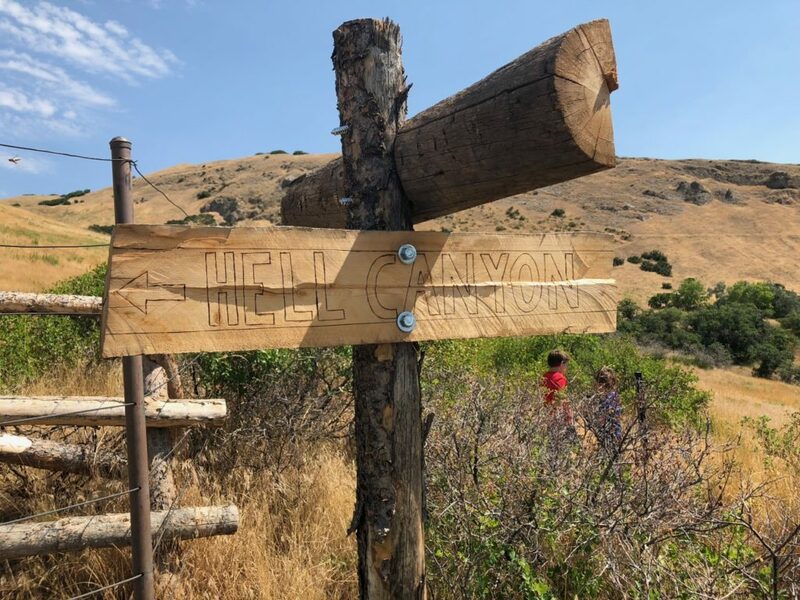 Ensign Peak is a relatively short, 1.8-mile round-trip hike up a moderately steep incline, and rewards hikers with an impressive view of downtown as well as the whole valley. I would NOT recommend doing what we did, which was to try it with our kids mid-morning on a 100 degree summer day. All the Gatorade in the world wasn’t going to entice them up the mountain that day, and since their cheeks were getting pretty pink already anyway, I relented. Fortunately, you can hike just a little ways up the mountain past the monument, on a paved trail that leads to a lookout over the valley. This was not the satisfying hike I had hoped for, but it was still a great scenic overlook. Plenty of other people were managing the hike to to the top with kids, however, so we’re going to attempt it again the next time we’re in Utah. When it’s 20 degrees cooler. Getting there: The park and trailhead access is located at 1002 N Ensign Vista Drive, Salt Lake City, Utah.